The University of Memphis offers several hundred academic scholarships each year in varying amounts. Your application for admission to The University of Memphis also serves as your merit scholarship application. 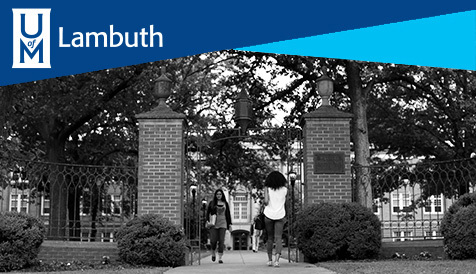 For more information on scholarship eligibility and any other questions you may have, contact the Scholarship Office directly at (901) 678-3213 or visit their Web site at https://www.memphis.edu/enrollment/. Thirty Non-Resident Honors Student Awards are available on a competitive basis to non-resident freshmen students who enroll full-time, who meet the full requirements for admission to the Helen Hardin Honors College (at least a 27 on the ACT/1200 SAT and a high school GPA of at least a 3.50), and who are actively pursuing graduation with an honors designation. This award pays out-of-state tuition fees only and is renewable for up to eight full-time semesters. Continuation of the award from semester to semester is only guaranteed if the student meets all the criteria for membership in the Honors College. For more information, please contact the Honors College. The Honors College identifies and assists well-qualified students in competing for prestigious national and international fellowships (Goldwater, Truman, Rhodes, Marshall, and others). As a general rule, successful applicants for these scholarships have a 3.7 GPA or higher. Depending on the scholarship, an exemplary academic record must be matched by leadership positions in extracurricular organizations or community service (e.g., Truman Scholarship) or ample research experience (e.g., Goldwater Scholarship). All prospective applicants are encouraged to visit the scholarship web sites and carefully read their guidelines and eligibility requirements. Students interested in fellowship opportunities should contact the Honors Office. The Barry Goldwater Scholarship Program, one of the oldest and most prestigious national scholarships in the natural sciences, engineering and mathematics in the United States, seeks to identify and support college sophomores and juniors who show exceptional promise of becoming this Nation’s next generation of research leaders in these fields. Scholarships of up to $7,500 a year are provided to help cover costs associated with tuition, mandatory fees, books, room and board. A sophomore who receives a Goldwater Scholarship will receive up to $7,500 in each of his/her junior and senior years. A junior who receives a Goldwater Scholarship will receive up to $7,500 in his/her senior year. The Harry S. Truman Foundation serves as the official living memorial to the thirty-third president of the United States and The Presidential Memorial to Public Service. Created by Congress in 1975, the Foundation was President Truman’s idea. The hallmark of the Foundation’s work is the Truman Scholarship, the premier graduate fellowship in the United States for those pursuing careers as public service leaders. The Rhodes Scholarship is the oldest and most celebrated international fellowship awards in the world. Each year 32 students from the United States are selected as Rhodes Scholars. The program provides full financial support for Rhodes Scholars to pursue a degree or degrees at the University of Oxford in the United Kingdom. Applicants from more than 320 American colleges and universities have been selected as Rhodes Scholars. Rhodes Scholars are chosen not only for their outstanding scholarly achievements, but for their character, commitment to others and to the common good, and for their potential for leadership in whatever domains their careers may lead. Founded by a 1953 Act of the British Parliament, and named in honour of US Secretary of State George C Marshall, the Scholarships commemorate the humane ideals of the Marshall Plan and they express the continuing gratitude of the British people to their American counterparts. Marshall Scholarships finance young Americans of high ability to study for a graduate degree in the United Kingdom (UK). Up to forty Scholars are selected each year to study at graduate level at an UK institution in any field of study.